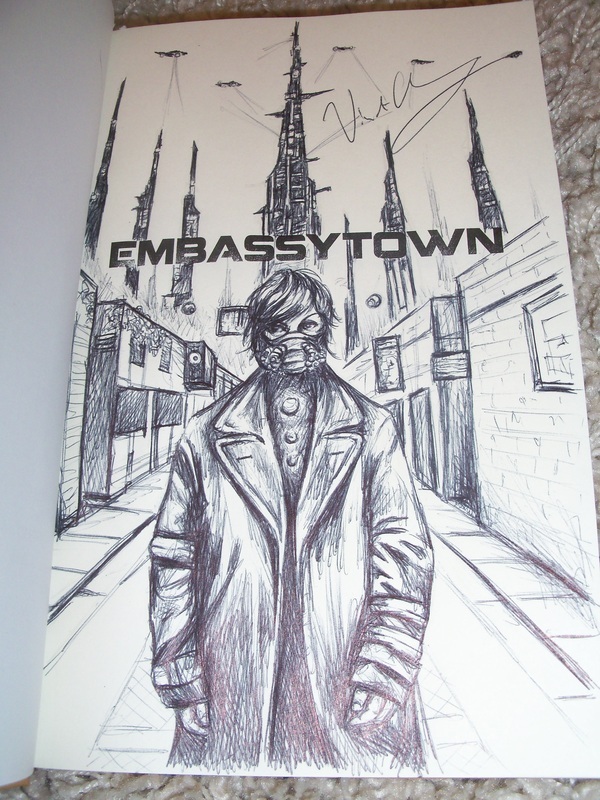 Signed by the artist Vincent Chong, who has also drawn a full-page detailed sketch within. This edition of "Embassytown" is a deluxe collectable hardcover, meant to give a lifetime of enjoyment. Sold out at the publisher, this numbered edition is endorsed "PC", being one of the rare Publisher Copies not normally intended for resale. This edition of Grave Peril is printed on 80# Finch Opaque, our preferred paper for higher-end limited editions, with a number of full-page interior illustrations, as well as a full-color dust jacket by Vincent Chong. Synopsis : Welcome to Arieka, the distant, densely imagined planet that serves as principal setting for China Mieville’s extraordinary new novel, Embassytown. Embassytown is a novel about diplomacy and conflict in a vividly created alien society. It is also, most centrally, a meditation on the power and infinitely varied possibilities of language itself. The result is an intellectual adventure of the highest order, a distinguished addition to an imposing—and constantly surprising—body of work. Limited: 500 signed numbered hardcovers, fully bound in cloth, this is one of just 5 copies that have been remarqued by the cover artist Vincent Chong.